Bearing the title “Industrial Park” of the state lays a charge on its holder the Gima Szolnok Ipari Park Kft. 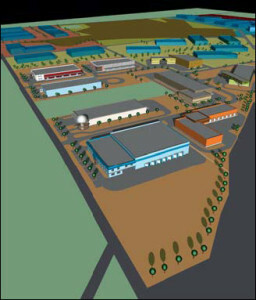 Preliminary terrain correction works required to investments on development area of the industrial park ahs began on the 10th of May 2007. In her letter dated 2nd of April 2007 Ildikó Cservenyák, Dr. the competent head of department of Ministry of Industry has notified Gima Szolnok Ipari Park Kft. that his application for bearing the title “Industrial Park” of the state was successful. A new settling wave can be expected in the Gima Szolnok Industry Park where 32 companies have already been settled. Üdvözlet a(z) IpariPark Blog honlap honlapon. Ez az első bejegyzés, amelyet a WordPress Magyarország Csapata előkészített a honlap tulajdonosának. Törölhető, tetszőlegesen szerkeszthető, és már kezdődhet is a honlap tartalommal történő feltöltésének szép és fárasztó folyamata!